3 Bedroom 3 Bath 7th Floor Condo in Orange Beach, AL #704. Relax in your own haven at the beach. We have everything you need to make your vacation a wonderfully relaxing experience. The den has a new flat screen TV for your enjoyment. Although I know TV will not be your main priority. Look out the window a watch the dolphins and the ocean beating up against the sugar white sand at Orange Beach, AL. We vacation here so we make it how we would like it. The kitchen is fully stocked with everything that you need. The view is spectacular and the bedrooms are very inviting and comfortable. The master bedroom, den and kitchen all have beautiful 18x18 tile. And the back bedrooms have new carpet. 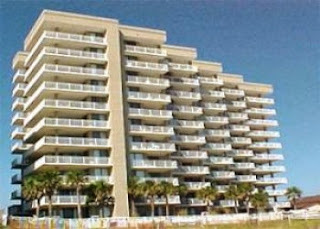 Other Alabama Beach Vacation Rental Homes, Houses, Cottages, Condos . . .